HPLC method development training course for the experienced chromatographer. 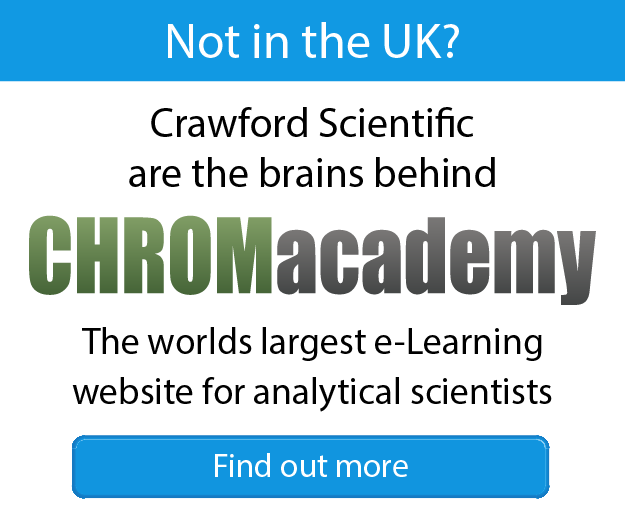 The course provides a step-by-step approach to all the crucial aspects of method development, including information gathering, mode of chromatography, development of mobile phase systems, column choice, principles of ionisation/suppression, optimisation of important chromatographic parameters (R, α, k’ and N), isocratic and gradient operation and detector choice and optimisation. Each aspect is discussed in detail with relevant examples used to demonstrate theoretical principles. Chromatographic modelling software-based exercises are included to give further understanding. This one day course provides a step-by step approach to method development for HPLC. All sections are accompanied by participative tutorial exercises using interactive chromatgraphic modelling software simulations for increased understanding of critical concepts. This course is designed for the more experienced chromatographer with a good working knowledge of HPLC separations. Attendance of the Fundamental HPLC and HPLC Troubleshooting and Maintenance training courses is not compulsory but is advantageous. Delegates should have a good knowledge of chromatography and experience as HPLC users. Some experience in method development is recommended. A good grounding in chemistry is also beneficial. Literature searching: What is known? What needs to be known?